Hey, did you miss me? The dry well of creativity, at least in relation to card making, continues. I am trying to climb hand over hand up the bucket rope, but it’s taking a while. I want to thank those of you who have continued to make purchases through my affiliate link despite my lack of posting content. It really helps me to be able to fund purchases for new products and pay to run this blog. Thanks bunches! 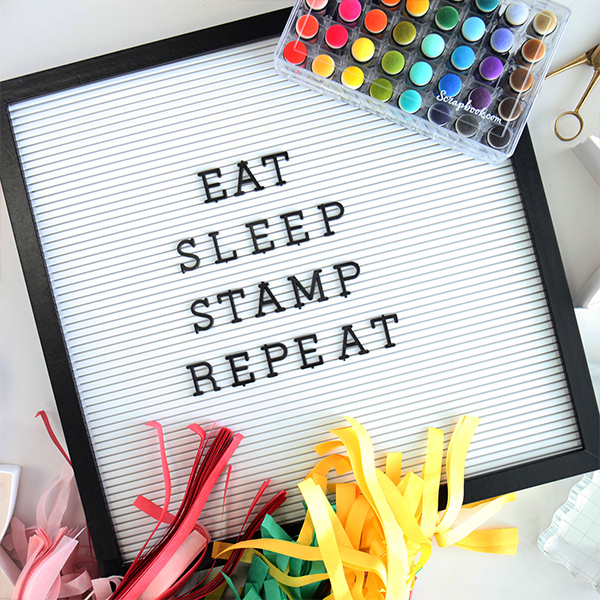 I was really excited when I received Simon Says Stamp’s February card kit with the stamp set Love Always, because new toys always help inspire creativity. GOJUS! I stamped the heart from Love Always on the included cream card stock and colored it with Copic markers. I then carefully cut it out by hand since none of the heart dies I have are the exact shape I needed. I wanted to have it hanging from the greeting so I did that with the included floss. I used some Altenew Golden Peach EP to emboss the greeting and the Simon Sentiment Labels die set (on sale right now guys!) to die cut that plus the banners underneath from the included Authentique Romance patterned papers. The little keys hanging along with the heart are from Maya Road. I also used the included Simon Rose Lattice background and Cotton Candy card stock to create the background with Simon Rosie Cheeks ink. I really love how this turned out. It expresses how I feel about my marriage! We’ve been married for almost 36 years and dated for 4 years before that, so we’ve been together a long time.